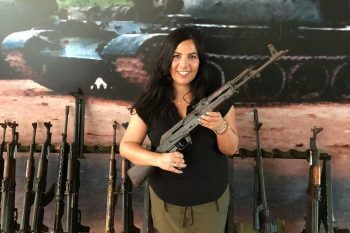 Home » Tips & Inspiration » Budget traveller » What to do in a 2-day tour at Can Tho Mekong Delta? Can Tho is the most modern and developed city in Mekong Delta which is known as “Xứ Tây Đô”. Its unique is the thick network of canals which is the “traffic hub” in this river urban. Traveling to Can Tho is a great itinerary for you to discover the exquisite of bustling city in Mekong Delta as well as the rustic beauty from the nature landscapes, local people and life in here. 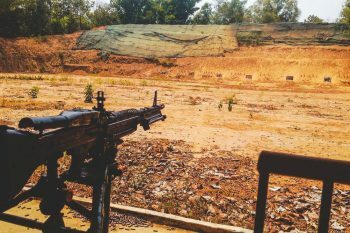 There are some of necessary tips for you to put in your pocket if having a plan to can tho mekong delta. Can Tho has the sunny climate with warm weather all year round so tourists may come to anytime they want. Each season in Can Tho has its own their attraction. This is a full guide to your must-know Can Tho tourist information. 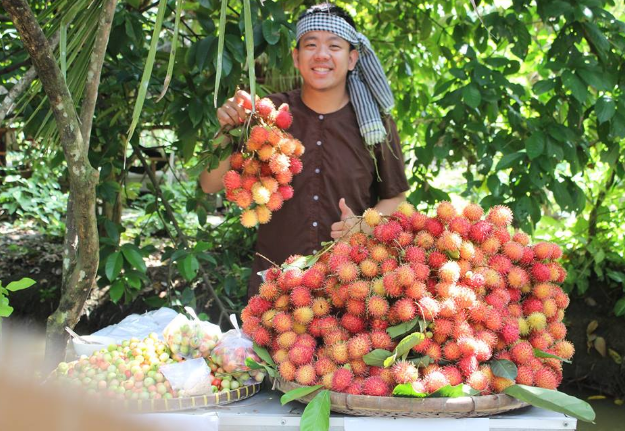 Summer (in Jun, Jul, Aug) is the time to harvest ripe fruits so this is the perfect period for you to enjoy the tropical fruit gardens in Can Tho. Coming to Can Tho in the floating water season (from Sep to Nov), you may see all the rice fields flooding in fresh water or coming to spring time (from Dec to Jan when there is near New Year) to contemplate the season of colorful flowers. 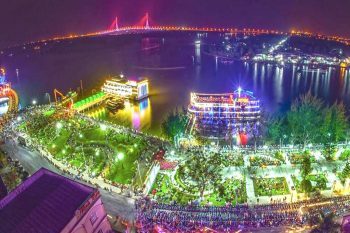 Especially, for experiencing the unique culture as well as the traditional custom of local festivals, coming to Can Tho every full moon in Dec or Apr would be the wonderful time to enjoy the three biggest festivals in Mekong Delta. Located away around 170 km from HCM city, so you may travel to Can Tho bus or motorbike based on your budget. It’s convenient for you to travel on bus as it only takes around 3 hours to Can Tho Mekong Delta Vietnam. You may come directly to Southwest Bus Station to buy tickets or contacting to many reliable buses like Phuong Trang, Hoang Long or Mai linh via hotline for booking ticket. The ticket fee is from 120.000 vnđ/ person but the fee range would be varied based on different transport suppliers. However, travelling on motorbike gives you the best experience ever which you can observe visually the peaceful landscapes in Mekong Delta on the road trip besides cost-saving. On the road travelling from Can Tho to Saigon, you can easily get some souvenirs with a reasonable price. Some of popular spots below you can refer for your planned trip to explore the rustic life of the river city. Cái Răng floating market: starting early in morning (about 5am to 9am every day, expect on two first days of Lunar New Year and the Mid-year festival), there are hundreds of canoes hanging various kind of fresh fruits, flowers and local agricultural products on Hau river and you can also enjoy some local cuisines for the breakfast or buy some souvenirs here. 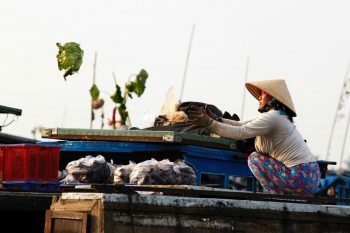 The floating market has become a unique culture in Mekong Delta which you could not experience in somewhere else. 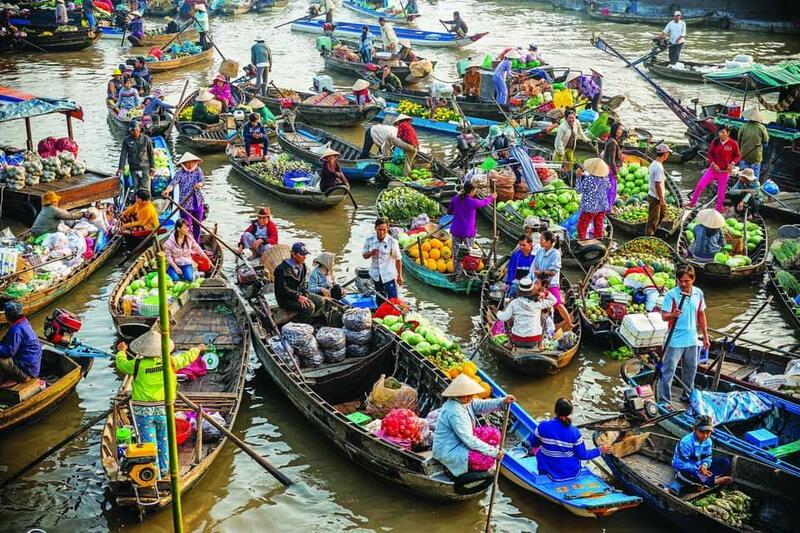 To visit this market, you need to book a canoe at Cái Răng port and the rental fee for a canoe visiting this market should be in range of 300.000vnđ to 500.000vnđ depend on number of tourists for a visit. The fruit gardens: the unique point of eco-tourism in Can Tho Mekong Delta Vietnam. There are many fruit gardens that you can catch up across the roadsides or waterways in here. 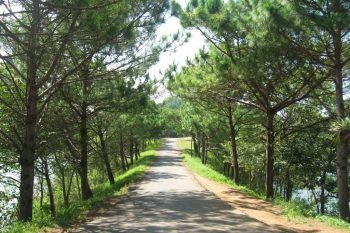 Some of popular gardens attracts a numerous of tourists each year like Vàm Xáng – Phong Điền fruit garden, Cồn Ấu, Giáo Dương, Mỹ Thơm, Vũ Bình, etc…you can enjoy many special Vietnamese fruits in these gardens. More interesting, at Mỹ Khánh garden, there are some awesome activities for you to experience such as dog racing, pig racing, fishing, canoeing, visiting some traditional villages and listen to folk music (đờn ca tài tử in vietnamese). Ninh Kiều Wharf: on the riverside of Hau river, but has been built to a large park for visitors nowadays. Ninh Kieu Park is outstanding with The Statue of Uncle Ho heighted 7.2m and is covered with many green decorative plants along the park, together with some Seafood restaurants around where you can enjoy most local cuisines in Can Tho. 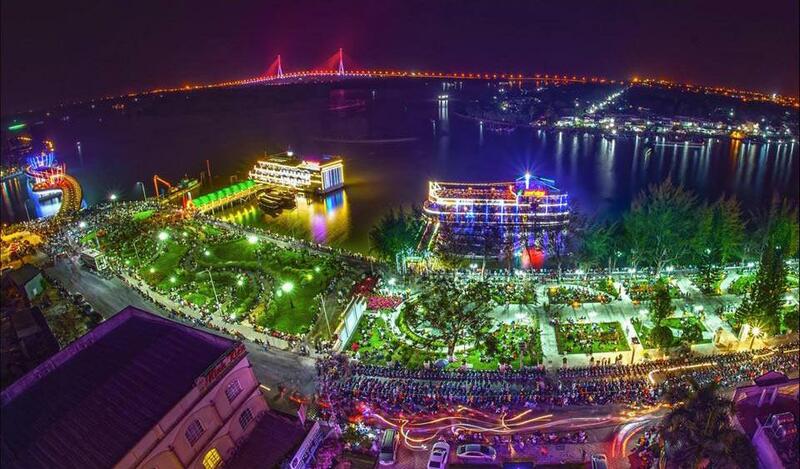 More especially, you can experience the floating restaurant where you can either enjoy your special meal or contemplate the mystic beauty of the river city at night on a yacht. Tây Đô Night Market: a cultural market near the Hau River, one of another traditional beauty in Can Tho. You can rent a canoe to enjoy the bustling scene – a different part of Can Tho life in night which opposites the romantic atmosphere of Ninh Kiều wharf. But all of them has formed a simple life of Can Tho people – very rustic but also be very animated. The market includes many outlets inside where selling special Can Tho souvenirs and local products that you can take a round for shopping. Either you can join some folk games and try your fortune to win some prizes, not too valued but worthy for your entertainment. Still more other interesting things, you can come along Ninh Kieu wharf and explore by yourself. Here are some of the reviews about Can Tho tourism. There are still other surprises behinds waiting for your own discover. Just starting your plan to this amazing land and getting back from Can Tho to Saigon to share with me what else that you have discovered about this river city. Before your departure, do not forget to call us – Saigon Riders for renting a motorbike.